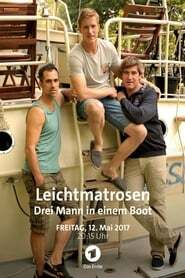 Three men and a houseboat: Three crisis-plagued Stuttgarters sailed for a week on the Havel in the direction of Müritz. The unfamiliar and not so tranquil Dreisamkeit brings so many things to light, which has hitherto been successfully concealed and repressed. The summer boat trip paves the way to the realization that a turnaround in life could not hurt.